Erica Rodriguez is an Emerging Leader intern from Chicago, IL. 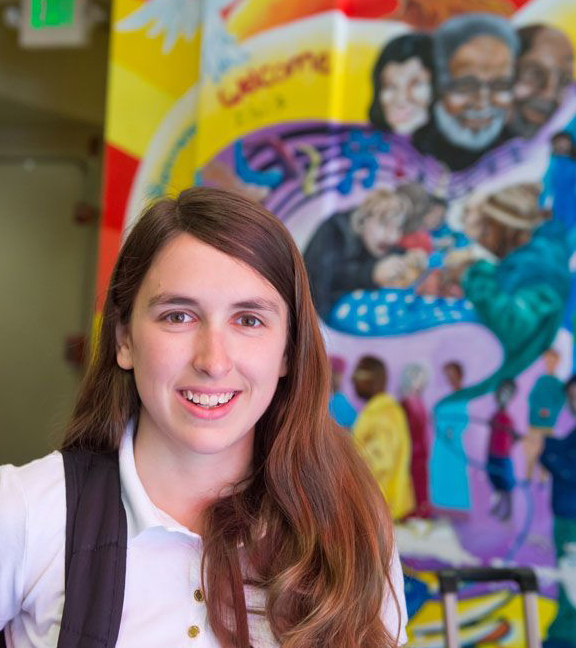 She is studying Human Development and Psychological Services at Northwestern University, and she hopes to pursue a career changing minds and changing lives. GLIDE has been an inspirational experience in her believing that this kind of change is possible. 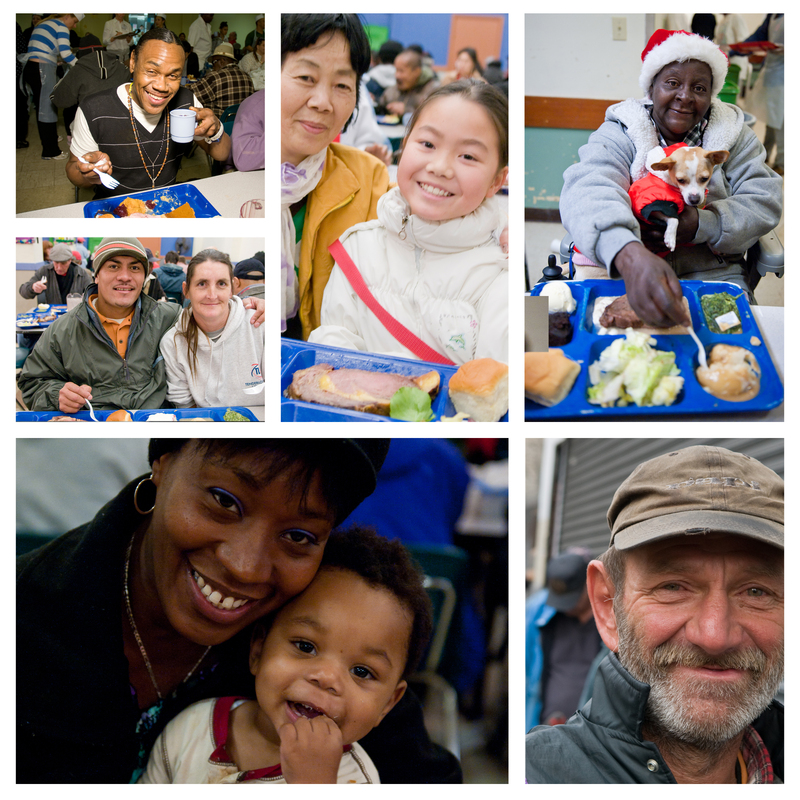 I had trouble looking anywhere but down in my first moments in the line for GLIDE’s Daily Free Meals Program. The feet around me in line were shuffling to a rhythm that I wasn’t familiar with yet. One step at a time, those feet were moving closer to a warm meal, a place to sit, and maybe even a pleasant conversation or two. The shoes that covered those feet looked as if they had traveled to places that I have never known and might never understand. Starting my first day as a bright-eyed and bushy-tailed summer intern for GLIDE, I eagerly wanted to engage with the community that it serves. Sharing a meal with members of the community was the perfect opportunity, but how was I going to connect with people that I felt so disconnected from? I entered the dining hall with the determination to relax and “fit in”. I was worried that something about me might seem unapproachable or even undesirable to talk to. I felt exposed with business casual attire, as if someone might call me out for not belonging in the meal line. The assembly line of shoes I trailed after into the dining room had scattered in every direction once we passed the point where trays were distributed. Armed with my tray of food and a sense of determination, I looked for an empty seat. Well, to be honest, I was looking for two or three empty seats. There were several other interns who joined me in this experience, and I wanted them to be accessible to me in case I needed a safety net. What if nobody wants to talk to me? I scanned the room once and was hit with a sense of alarm when my eyes didn’t run across a section of chairs that could accommodate me and my safety net. As I stood in the middle of the hustle and bustle of the dining hall, I was taken by the sights and sounds that surrounded me. There was a vivacious harmony between the clanging of the kitchen line, the stacking of emptied trays, and the busy chatter of the dining hall patrons. I didn’t know where I fit into this harmony, or if I even fit in at all. “There are a few open seats back here”, an attentive volunteered offered to our bewildered looking group of interns. I relaxed and moved my feet towards the empty seats, hoping my body would follow. Positioning myself safely between my fellow interns and the other dining hall patrons I had yet to meet, I tossed my attention back and forth between eating the food on my tray and engaging in conversation with others at the table. Although I offered a few words to greet my neighbors at the table, I was unable to engage in any substantial conversation. Caught somewhere between not knowing how approach the strangers I was sharing a meal with and not wanting to revert back to the more familiar task of talking to my fellow interns, my eyes focused in on the food on my tray if there were something interesting going on down there. I have never felt so challenged by macaroni and cheese before. I stared at the cheesy mass in the center of my tray hoping that I would find an answer floating somewhere between the soggy noodles and the chopped bits of meat product. Why couldn’t I talk to the people around me? I didn’t find an answer that day in the dining hall. But I did find something else. I found the edges of my comfort zone. Not only did I find my edges, but I found a place to work to break through them. 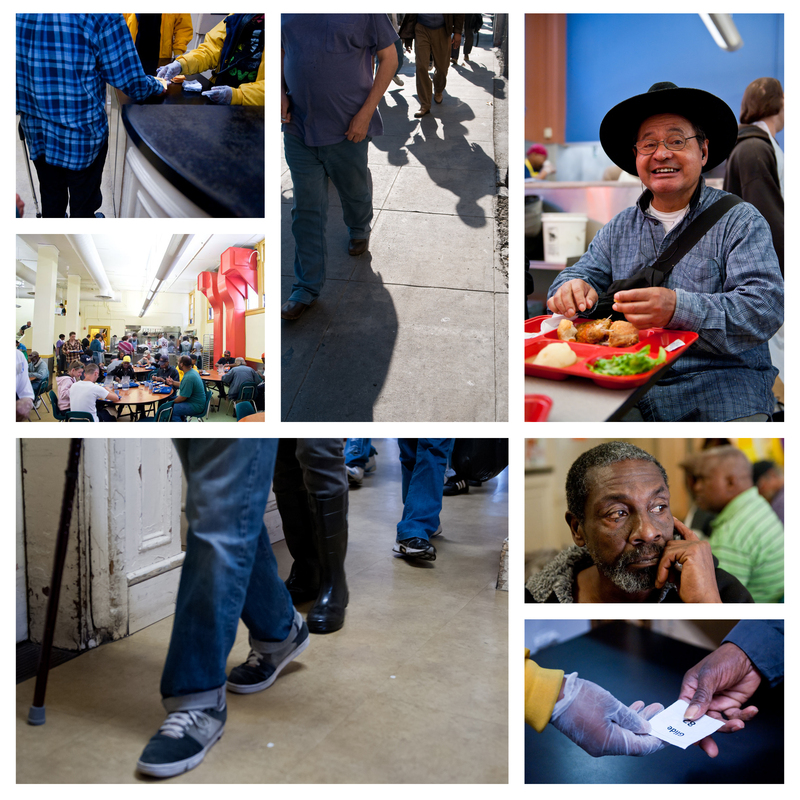 GLIDE provides the table at which every kind of person wearing every kind of shoe can meet and have a conversation. What I’ve learned from GLIDE is that these conversations do not always have to happen between people. Sometimes they happen within us. In a room full of busy chatter, laughter and maybe a bit of shouting, I learned how to listen to myself. Eating in the dining hall for the first time was an uncomfortable experience for me, but it was the kind of discomfort that pushes you to learn and grow. In this instance and many others in the few weeks that I have been here, GLIDE has taught me to listen to the conversation within myself in order to understand the conversations in the world around me. In order to connect to those around us, we must first learn how to connect with ourselves. The lunch period came to a close, and I followed the shuffling shoes back out of the dining hall. Only this time, they didn’t seem so different from mine. Maybe it was just something in the macaroni, but I have a funny feeling that the GLIDE community has a lot more to show me.